If you are suffering from liver cancer or have a relative who has it, you would wish to know some information about it. Therefore here are some of the details about the liver and liver cancer. Cancer is a type of disease in which the cells in the body grow uncontrollably. It can grow anywhere in the body. It can begin in a tissue or an organ. Cancer can also spread to the other tissues and organs; this process is called as metastasis. Likewise, liver cancer starts in the liver and can spread to other organs also. 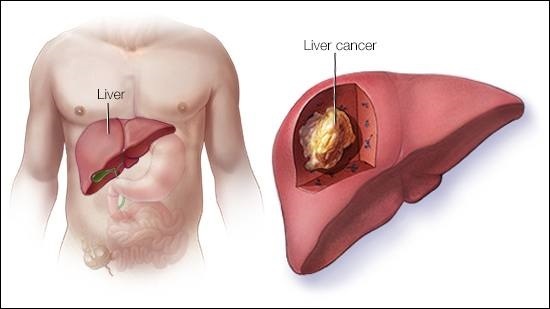 Liver cancer is mostly carcinoma which is a type of cancer that begins in the tissue lining of the liver. This cancer can also spread to the bile duct that carries the bile created by the liver to the stomach that is important for the functioning of the digestive system. The liver cancer can be primary and also sometimes can be a metastasis. The former type of liver cancer can spread to other organs and tissues in the body. The latter type of cancer forms like a tumor or a cell in another part of the body and slowly spreads to the liver. The liver tumors can be cancerous with the capability to spread to other organs and tissues. It can also be dormant that remains the same without spreading. The doctors explain the severity of the cancers in stages, stage one is cancer restricted to the liver and stage 4 is the spread of cancer to the lymph nodes and the other nearest parts from the liver. To have a good understanding of the liver cancer you must know about the liver and its function. It is the human body’s largest organ. It is the size of the football and is about 3.5 pounds. The liver has many types of cells; the specialists term the main cells as “hepatocytes,". That is why many of the words related with liver start with the word ‘hepa’ or ‘hepato’. In point of fact, the common type of liver cancer is the hepatocellular carcinoma which is cancer in the hepatocytes. The liver does many essential functions like cleaning toxins from the blood, creates the bile that is important for the body to digest fat, it also makes substances to help the blood clot to stop the bleeding when there is a cut. The liver creates stores and releases sugar which your body will utilize for energy. The liver cancer will damage the liver which will impede the liver from performing its usual functions. This may be harmful to the patient who is struggling with liver cancer. Now that we discussed many details about the liver and liver cancer there are other aspects to cure cancer. Always choose the best liver cancer hospital in India. If you want to get excellent liver cancer treatment, make sure the treatment and the service they offer are above average.